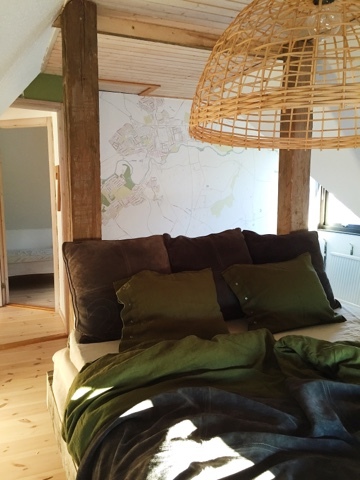 Reused logs became the four poster bed in the attic bedroom of our guesthouse Villa Hoby Mosse. 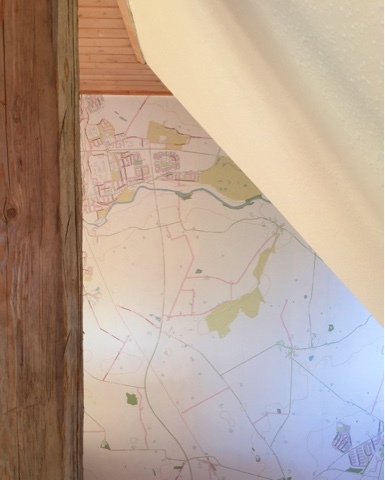 Rebelwalls offer this amazing map of your own home hoods. You have to check it out if you like this. 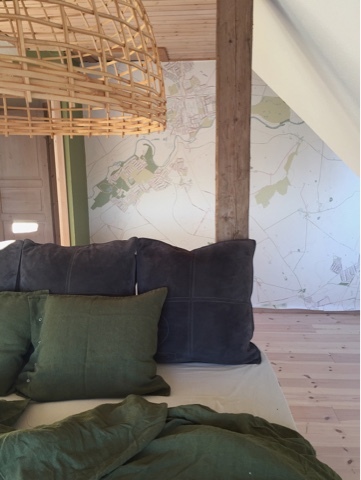 Just love the geo map wall paper. Jeep green soft washed and perfectly wrinkled linen from Kardelen. 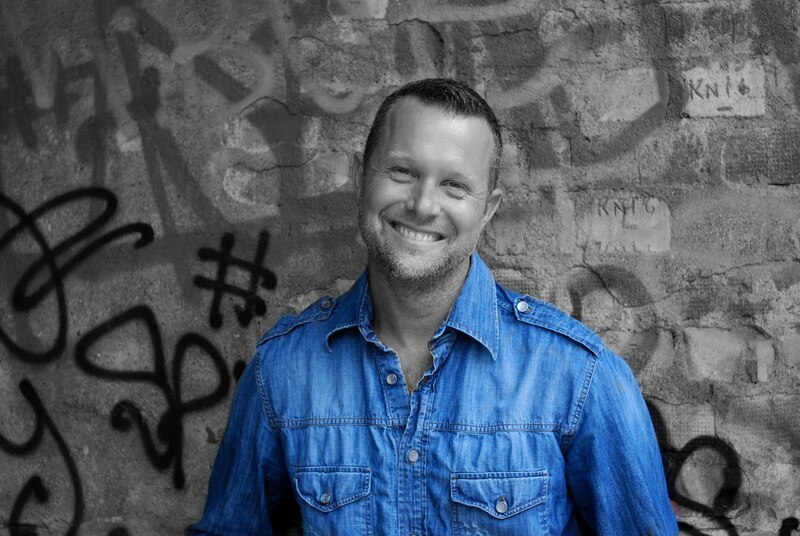 This is my color. LOVE! 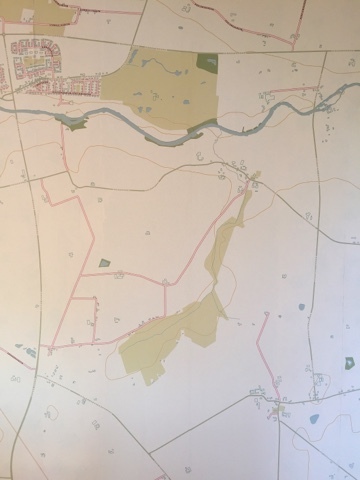 The map shows an overlook over our neighborhood in a unique and beautiful way. 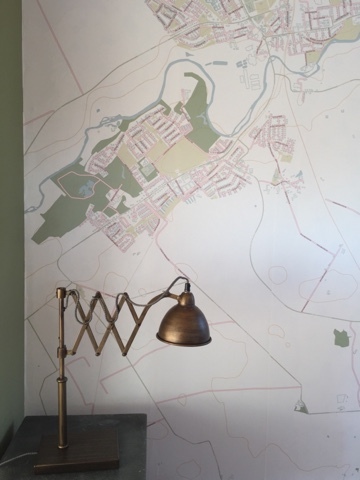 So when ever discussing the area with our guests visiting we have the best way to show it all. I just really like the look of the map, it makes for such a unique and personalized kind of wall deco, Rebelwalls. Table lamp from Interstil. 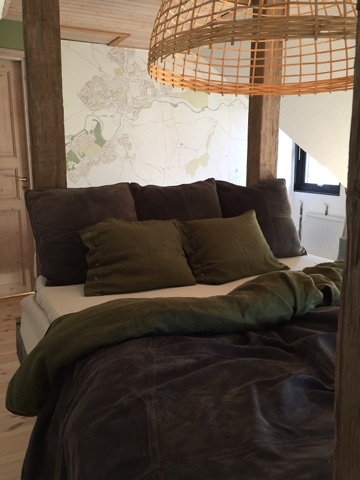 My friend Erik from Lövsjö loghouse made the bed from the good old logs from a loghouse that was torn down. This is a dream come true for me. When I first walked into this room I wanted this type of four poster rustic and over sized bed. Now its here! 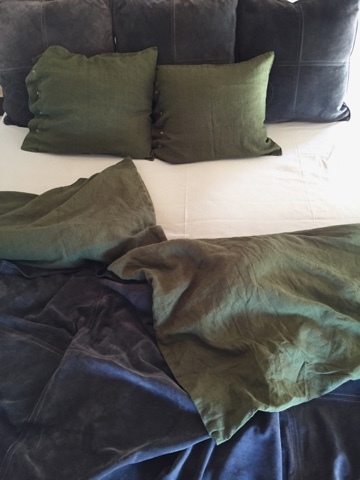 My suede throw and large pillows go so well with the Jeep green linen from Kardelen. The worn&wonderful logs that the bed is made from adds so much feeling to the room. 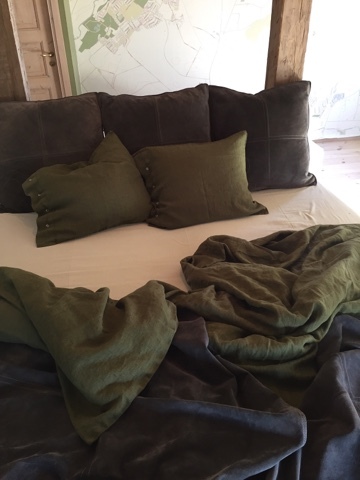 Pillows and sheets in Jeep green linen, Kardelen.